4-1/2 stars! CC, a successful teenage travel blogger with a desire to put down roots, is delighted when her father, a renowned pastry chef, takes a job in Sugar Lump, the self-appointed wedding capital of the world. Everything about this magical midwestern town feels like a fairytale, right down to the gingerbread trim on the homes, lushly manicured lawns, and perfect marriage record. No one living in Sugar Lump gets a divorce. Since CC’s mom left them before CC’s first memory set like frosting on a cake, Sugar Lump seems the perfect place to settle down and never leave. So she doesn’t understand why her normally wanderlust father is determined to live in Sugar Lump the rest of his life, while trying to convince CC to go away to college when she graduates at the end of the school year. The town’s perfection extends beyond the buildings and marital status of its residents. The other “bakery kids” welcome CC with open arms, making her one of their posse from the moment they meet. While CC has experiences to rival almost anyone her age, what she hasn’t had are a group of good friends. Because they move so frequently, she found it difficult to establish close relationships with anyone; never knowing when they’d be moving yet again. And not only are the locals welcoming and kind, but magazine-cover attractive, including super-hot Thorn, who dyes the tips of his jet-black hair grey, just to annoy his mother, who also happens to be the town’s mayor. 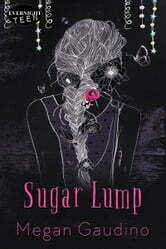 But the more time CC spends in Sugar Lump, the more she realizes things aren’t necessarily as they seem. When she overhears something she shouldn’t, she’s determined to get at the truth, no matter the price. Plot This was such a great story. The unique plot was fun and fresh, and moved at a perfect pace. The author throws in several twists that send the story racing in a new direction. More than once she caught me off guard, surprising me in the best possible ways, making this one of my favorite books of 2018. The Characters CC is delightful as the traveling teen with her heart set on finding a place to call home. Her father is just mysterious enough to keep us guessing, but it’s CC’s friends who steal the show. From the enigmatic Thorn, to gender-fluid best friend Henry, and the picture-perfect Luna, the people CC meets in Sugar Lump are as beautiful and perplexing as the town they inhabit. 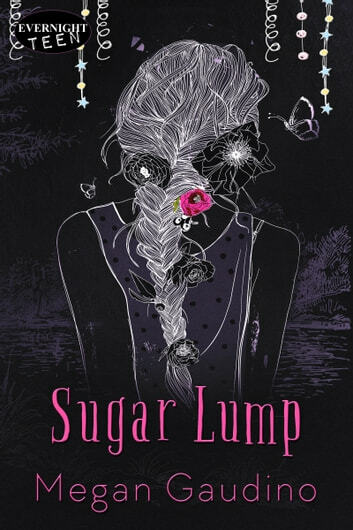 Top Five Things I Enjoyed About SUGAR LUMP 1. Premise. The concept of a perfect town, even if it might not be as perfect as first believed, is a nice change from all the dystopian I’ve read over the years. 2. CC. Her eternal optimism is such a refreshing quality that I’d like to find more of in young adult protagonists. 3. Sugar Lump. Everything about this town makes me wish it were real so I could visit. 4. Thorn. Jaded with a streak of vulnerability, Thorn is a quintessential teen love interest, but his quirky nature gives him that little bit of extra that sets him apart. 5. Twists. Excellent plotting and unexpected twists, kept this story from being anything but typical. Bottom Line One of my favorite young adult books of 2018 and easily my favorite new author discovery. Disclaimer I was provided with a copy of this book by the publisher in exchange for an honest review.